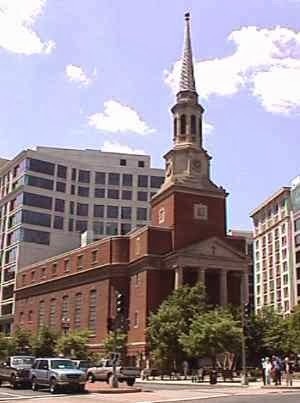 A few months after my father died, Aunt Jeanne Marie dropped me off at a Sunday school class at New York Avenue Presbyterian church in Washington DC. As I sat down in the small room with lots of little girls in frilly dresses, I immediately knew I didn’t belong. My tomboy pixie was no match for their bouncy curls. I vividly remember the stares and whispers as quick glances shot across the room at me. At that moment, I knew I wasn’t enough for these girls. I wasn’t sure what I needed to add, but I knew I was lacking. And that lacking made me uncomfortable. It can consume us, this need to fit in. It can cause us to shun any who are different. To create little circles of friends with rules that are easy for us inside the lines to follow. Aren’t we really just more comfortable when things are the same? It seems weekly, a firestorm erupts because a famous Christian speaker says something outside the circle of some group or another. DonaldMiller confessed he got nothing out of going to church. 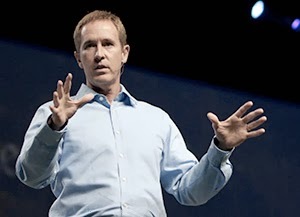 Andy Stanley, oh my, dared weigh in on bakers and photographers providing services for gay and lesbian weddings. Suddenly, their faith was put under a microscope. Bloggers and their commenters chimed in from all over the world. Any more, I’m hesitant to state my point of view. Not because I’m afraid of rejection. I’m proud to say I’ve moved past that childhood incident. The reason – I may disagree with say, Anne Lamott’s stance on abortion. She’s very pro, and I’m very anti. But I believe we both serve a God whose death on a cross provides the grace for us both to be wrong. And yet, abortion rates have steadily declined. And not because pro-lifers stood on street corners holding signs. But because advanced technology has proven Gods truth, that we are indeed fearfully and wonderfully made. It all swings around to our need to feel comfortable. But isn’t that just really putting our faith more in our rules and less in the God who saves us? Jesus, when he walked this earth, made the religious leaders uncomfortable. And they were the only people he called out. As a Christian, I want those around me to be stunned by the grace of my loving God. And I know that requires me to put myself inside circles of uncomfortableness. But I am confident that the God I serve is the only God who can set people free. And leading others to that freedom should always be worth being made uncomfortable. 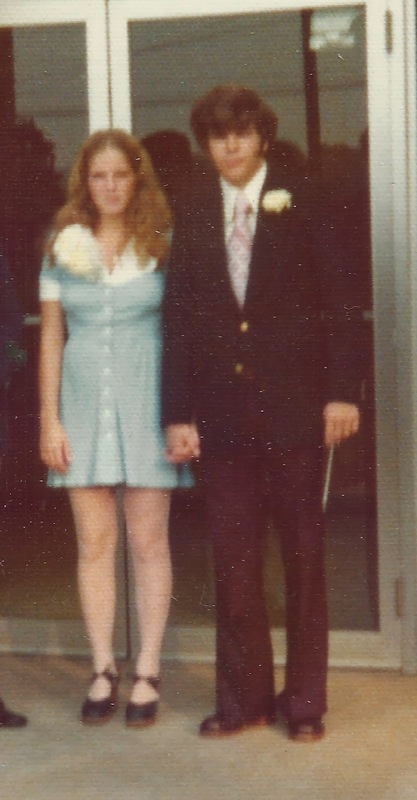 I turned around, and spread across a large screen, was a full size picture of Tim and me from the day of our wedding. There I was all 17 years, curly hair and buck teeth. The hem of my blue dress rising several inches above my knee. The buttons bulging from the swelling chest of my teen age pregnancy. Tim, so handsome in his coat and fat knotted tie. Before she opens her mouth, I know the question Oprah’s going to ask. I’ve seen her do it with many celebrities before. I soak in the image. Memories of the day flood back. I didn’t want to get married and I didn’t want to marry Tim. I felt trapped. My plan… give birth so the baby could have its father’s name…then move on. But nothing worked out the way I planned. 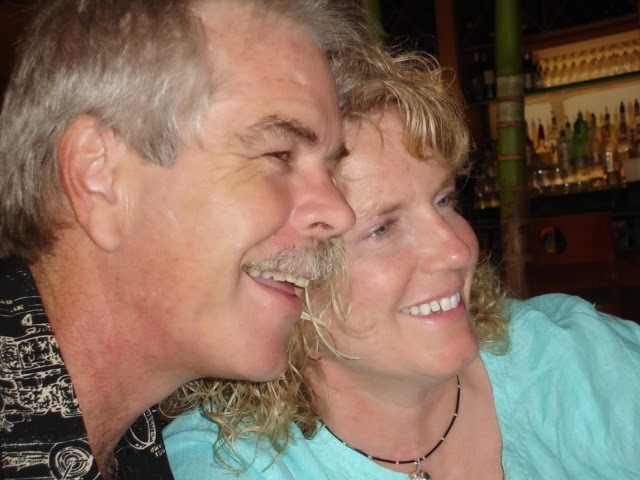 And after nearly forty years with that man, I felt different. Happy Valentine’s day to the love of my life! Not long ago I visited the remains of the World War II cruiser, the USS San Francisco. 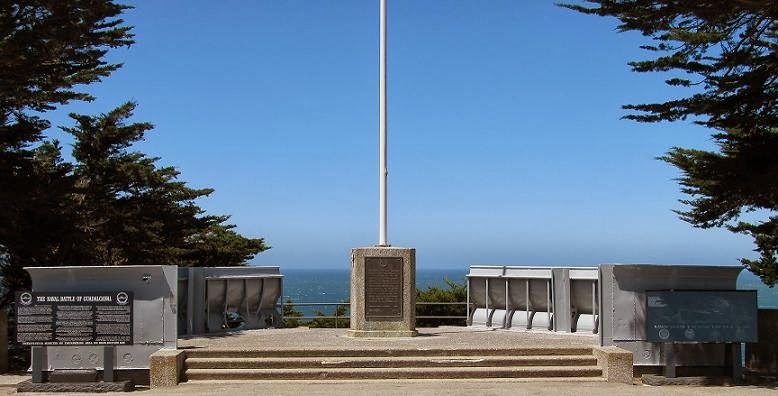 The memorial sits imbedded on a hillside overlooking the San Francisco Bay. Its bow is pointed due south toward Guadalcanal. Over sixty years ago it led a convoy of American ships in a fierce battle against the Japanese fleet. 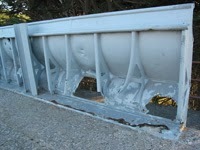 Still visible are the many holes ripped through her thick steel. On that bright sunny day, a cool breeze blew across the bay. Behind me the bright red towers of the Golden Gate Bridge peeked up over the treetops. I listened intently as my Uncle Eugene shared some of the history of this great cruiser. How it had withstood the attack of twenty-five Japanese bombers, with one crashing into the ship killing 30 sailors. 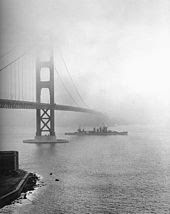 How in 1942, the USS San Francisco steered right through the middle of the enemy’s fleet. Taking on fire from all sides, it caused so much confusion, the Japanese fleet fired on their own ships. As I stood there, I wondered what it was like to bring that damaged ship back to the city for which it was named. I imagined the it quietly chugging underneath the Golden Gate Bridge – all men on deck, weary from the recent battle, yet gaining strength with each mile. I felt the pride they had pulling the ship into port with the entire city of San Francisco there to welcome them home. For days, I couldn’t stop thinking about how good it felt to stand on top of that rubble. I marveled at how I could feel the strength of those men who fought that battle so long ago. It amazed me how their story and some beat up metal could inspire me so many years later. Daily, we all fight battles. 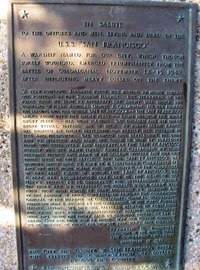 Few of us will ever experience the kind of conflict the men of the USS San Francisco saw. But, our struggles are real and painful. And many times we fight them alone. My experience on the USS San Francisco taught me the importance of allowing more of my battle scars to show. For if I were to peel back the layers of my heart, you would see scars where enemy fire has penetrated my toughest armor. I too have been fired on from all sides. I have large scare where my father’s death tore a huge hole in my heart. I may say, “please don’t touch, the wound is still not healed.” Or I may show you the large bruise left by my son’s arrest. Two big battles God has helped me overcome. Feeling the power of that struggle aboard the USS San Francisco made me wonder. What if hiding my personal battle scars robs the people around me of the opportunity to witness my strength and endurance? Perhaps hiding our scars or polishing them up before revealing them does a disservice to those we have the greatest ability to inspire. Like that great battle cruiser, enemy fire has damaged my exterior. Many times I’ve nearly broken under the weight of the struggle. But no matter how weary I become, I’m determined to keep my ship headed for home. I may not be pretty when I get there, but I know there will be a crowd to welcome me home. 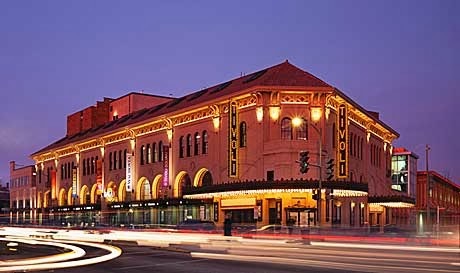 For over twenty-five years the Tivoli Theater in downtown Washington DC sat vacant and boarded up as the city decided what to do with the old historical structure. Built in 1924 it was once consider the city’s most elegant movie house. It’s Italian Renaissance structure with red tile roof, ornate cornices and numerous graceful arches occupied almost an entire block of 14thstreet. 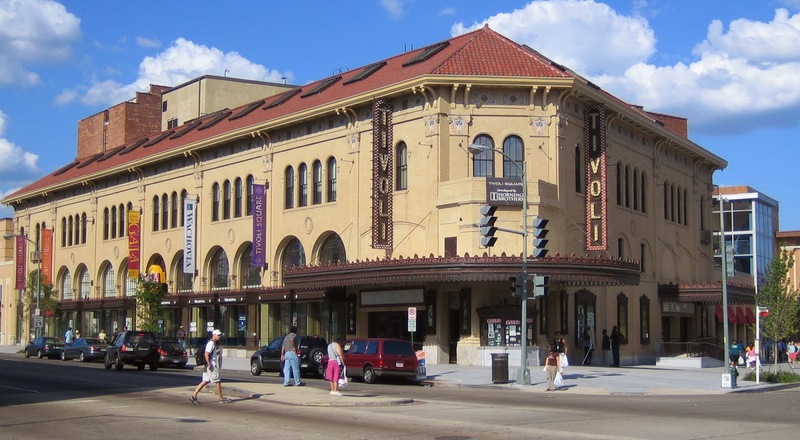 Unlike many of the buildings in the Columbia Heights neighborhood, the Tivoli didn’t get it’s damages from the 1968 riots, but from simple neglect. By the time it’s doors closed in 1976 much of the structure was in ruins. Many times, city officials considered tearing it down. 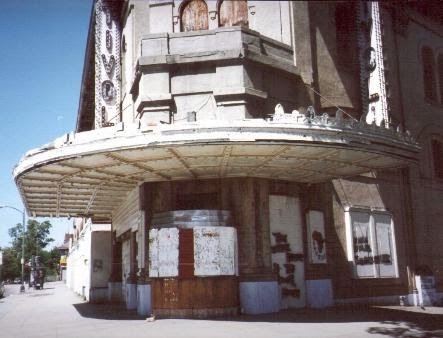 But in the mid 80’s the Tivoli was designated a local and national landmark thereby blocking any attempts to demolish the building. 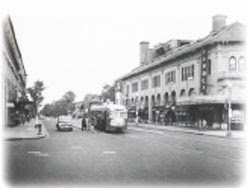 In 1998 rights were granted to a developer to restore the entire block, and the restoration process began. When I left DC in 2005, much of the neighborhood was still boarded up and scaffolding covered the the theaters exterior. 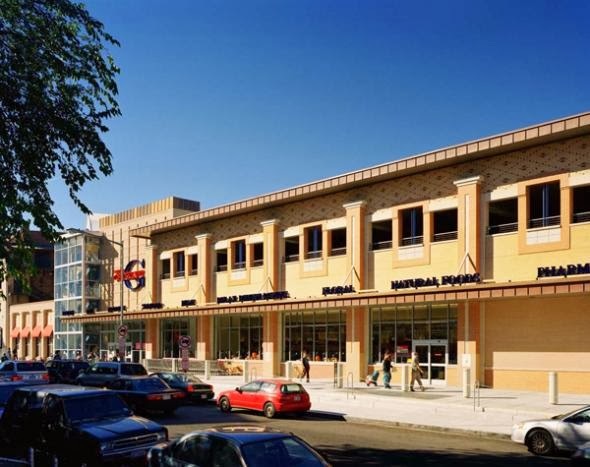 Plans were underway to build a large grocery store in the back and office buildings across the street. Master craftsmen trained in the original construction methods were hired. Painstakingly, they removed what was old, polished it to perfection, and then put it back like it was when it was new. Once the restoration was complete there would always be evidence of the theaters history adding charm and grace to everyone who entered. A couple years ago, while back in DC, I couldn’t resist driving up town to see the results of the Tivoli restoration. Having driven by the building many times while it was an eyesore, I was dying to see it restored. So on a brisk Sunday October afternoon I was surprised to see so many people walking what used to be vacant streets. The theater was magnificent; you could hardly tell it had ever been desolate. 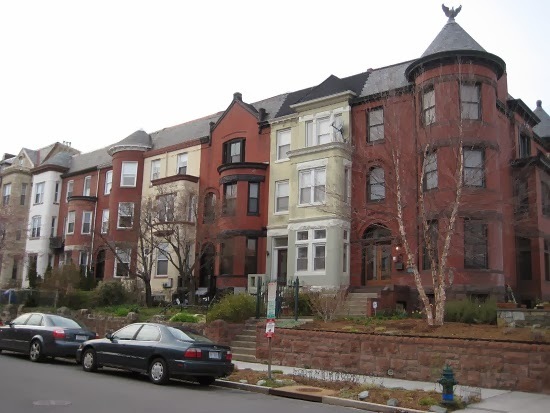 As far as three blocks away, many of the row houses were now in the process of their own restoration. And many shops along 14thstreet were in various stages of their own restoration. I parked my car across the street and walked to the large grocery store that had been added to the back of the theatre. The store was modern, elegant and packed with shoppers. Clearly the theatre’s restoration had brought new energy and life to a once depressed and vacated part of the city. Restoration has an amazing effect on people. When I gave my life to Christ, He began a restoration on me. Just like a master builder, He took the recesses of my soul and began to restore them to reflect His glory. No longer a desolate damaged structure, I became a heavenly landmark. Even now, when I choose to litter my soul with sin, Christ is quick to come and remove the damaged tiles, polish them and put them back. At no time does He feel I have destroyed His landmark beyond what he can repair. Restoration, whether it applies to a building or a soul, lifts up everyone. When my soul is restored it not only blesses me, but those around me as well.